Remember last fall when Pierre's was nice enough to send over a carton of goodies to try (like the excellent Emerald Necklace flavor)? Well, there were two pints that I put to the side and kind of forgot about because one had nuts and the other is coffee based. Now had I left these in a regular freezer, they would be toast by now, but since it's a deep freezer that doesn't have an auto-defrost cycle, these should still be good enough for sampling. 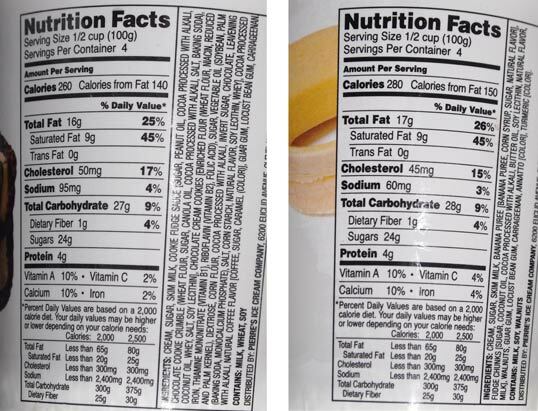 Whoa, wait a minute, I can actually see the difference between the chocolate and coffee ice creams? How cool is that? I take my first few bites and realize I have made a terrible mistake letting this one sitting in the chest freezer for so long. This one is just really well balanced to help draw in the non-coffee crowd. 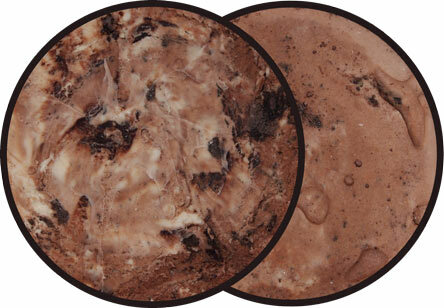 The bitter and dry qualities of a typical coffee ice cream are now just accents to a really nice blend that also includes an Oreo wafer vibe to it. I am in shock right now for letting my fear get the best of me. This is just a neat ice cream both visually and texturally. I'm getting cookie grit in every bite, I got a true mocha flavor for a change with almost a Oreo pie crust vibe to it. Yes, it's still coffee, but in a most complimentary way. Oh man, I was going to try both of these together but now I have to wait because a had a quarter (if not a third) of this top notch stuff. Ok, until tomorrow another day. I take one bite, and yeah, they nailed this one too. For me, the best banana flavors taste like banana bread. Not too ripe, not too fake, just real banana bread. Add in a ton of walnuts and chocolate chunks and you've got yourself a top notch Chunky Monkey competitor. 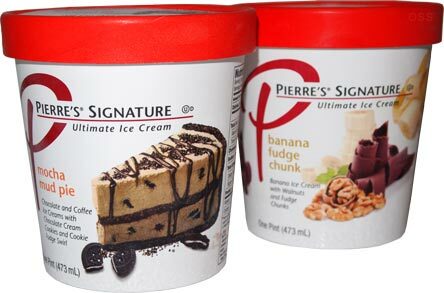 Well done Pierre's, my apologies for waiting so long to try two quality products. Buy Again? if it was my thing, I certainly would! 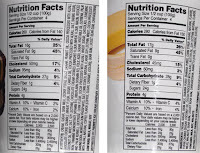 Bit unrelated, but anyone know if this the same "Pierres" that used to make killer ~300 calorie frozen PB sandwiches at Costco? If I had this brand in my area I might try Mocha Mud Pie, but only because Ben & Jerry's is so woefully inadequate when it comes to coffee flavors lately. Dublin Mudslide, Mud Pie, and Coffee Heath Bar Crunch were all such amazing flavors. Now all they have are Coffee Coffee Buzz Buzz Buzz, Brewed to Matter, and Coffee "Toffee Bar" Crunch............. (are you registering my exaggerated eye roll?) 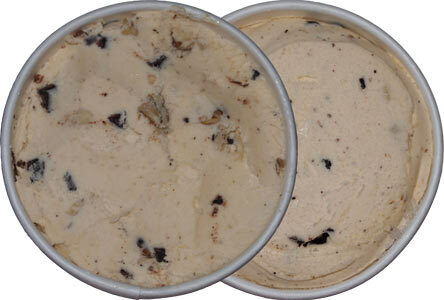 At least my local ice cream shop Izzy's still has Irish Moxie -- coffee flavored ice cream made with Jameson Irish Whiskey and a mix of Oreo cookie chunks and Heath Bar candy pieces. See B&J's... someone's not afraid of brand named ingredients.